Completely reworked and launched in the Spring of 2015, this latest guide gives the reader a valuable insight into the canal’s history through to the present day, with information about our aims and our progress towards full restoration. There’s a section devoted to ecology, and includes listings to help find places to park and seek refreshment along the entire 33 miles. Ordnance survey and linear maps all add to this; our most comprehensive guidebook to date! 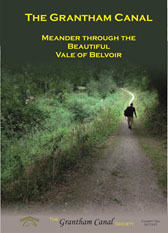 84 pages, spirally bound for ease of use when out and about along the towpath – don’t leave home without it! Buy safely online. Meander Through The Beautiful Vale of Belvoir – the essential guide to the Grantham Canal. These guidebooks make great presents! Order online today for only £7.00 inc P&P to UK addresses. 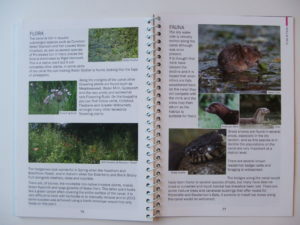 84 pages packed with interest – a great companion to your walk!